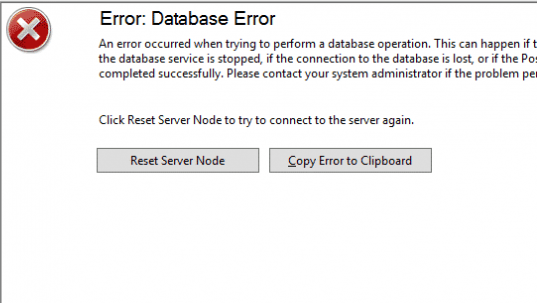 Clicking Reset Server Node does nothing. 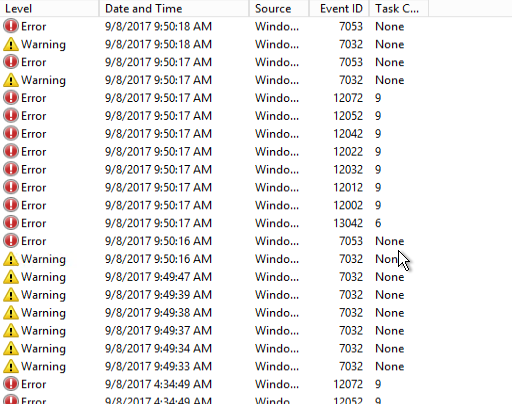 If you've ever dealt with WSUS for an extended period of time, you're probably used to this and if you haven't, get used to it. 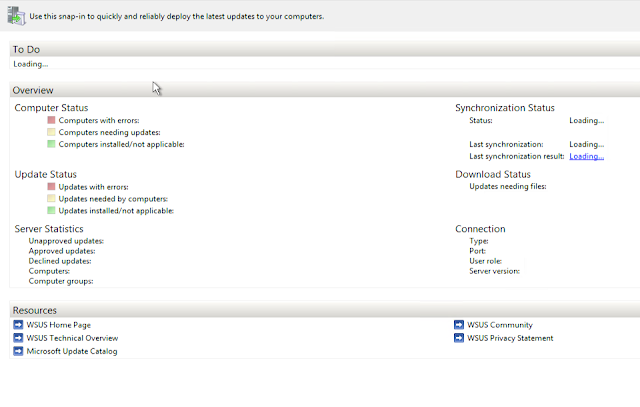 That's a lot of errors and this is right after a WSUS reinstall. 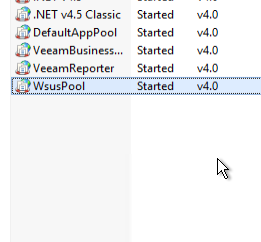 When I restarted, it seemed like it would work for a bit and then crash again. 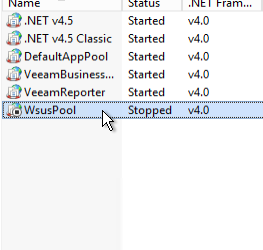 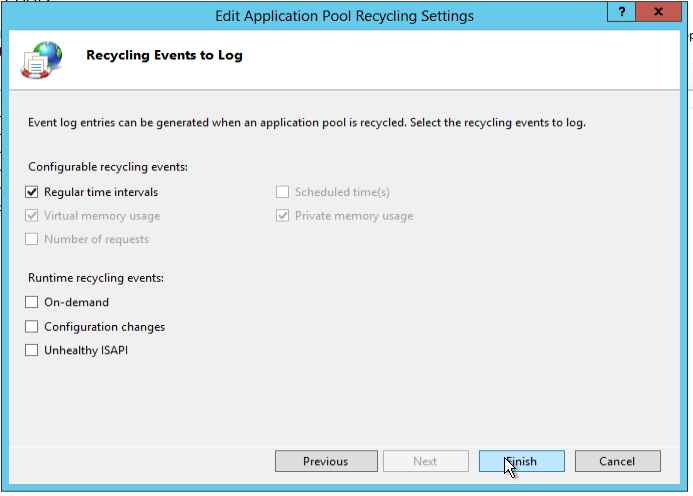 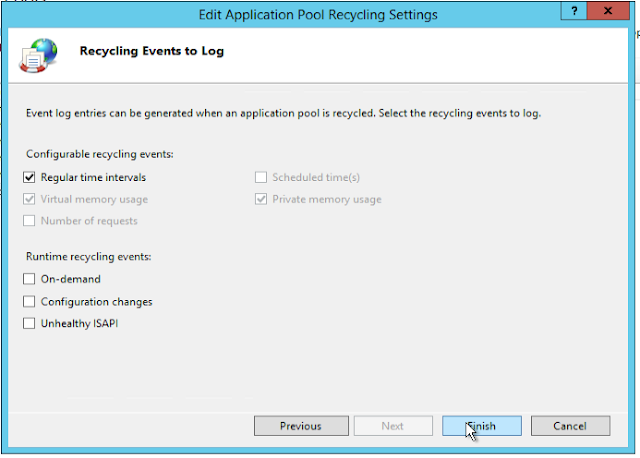 After going into IIS Manager, I noticed that WSUS Pool has stopped under Application Pools. 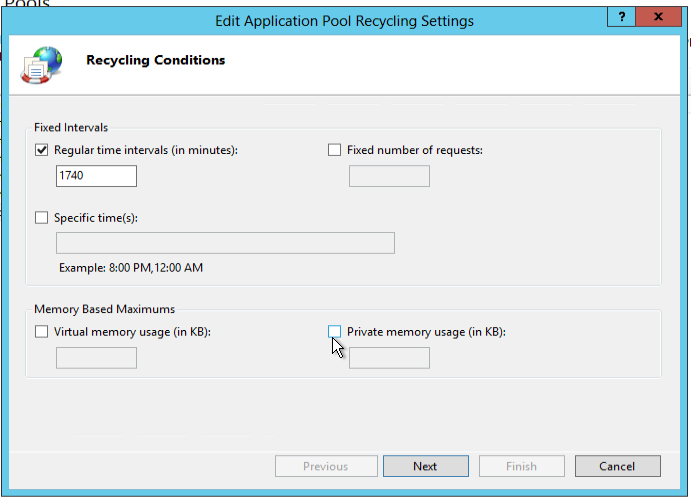 I dug around a bit and found that this is a memory issue for this particular application pool. 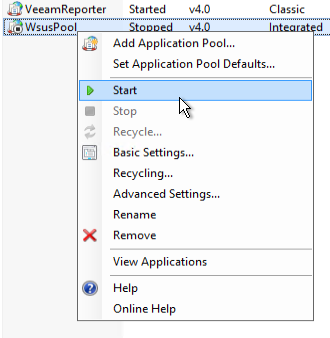 In order to fix this, you have to select WsusPool and click Recycling. 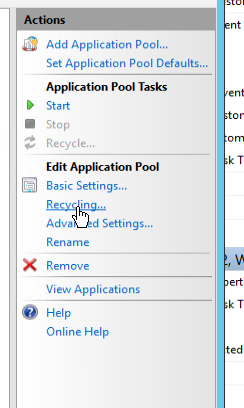 Leave everything else the same and click Next. Then click Finish. Now WSUS should start up for you.